In the category of hydraulic fittings in addition to the normal threaded general fittings, we find the fittings useful to create connections with the multilayer pipe, a pipe that in recent years has taken hold on the market for its ease of installation and its high versatility. 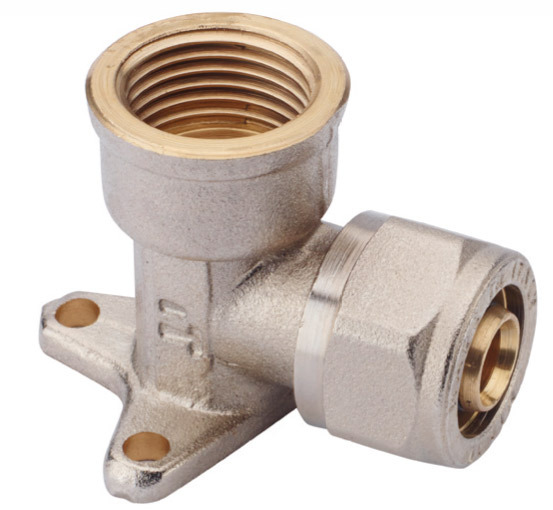 These particular hydraulic fittings are made of nickel-plated brass for aesthetic reasons, but above all to ensure that the material can withstand the action of chemical compounds present on construction sites. The connection to the pipe is done by means of a system with hose holder, ogive and threaded nut, each with a specific task. The hose holder guarantees pressure tightness thanks to two OR gaskets which seal on the inner wall of the pipe. In order that the pipe does not slip out of the hydraulic fittings, the ogive with nut coupling is used, the latter cut and elastic which, thanks to a conical coupling, closes around the pipe and through kind of teeth retains the pipe. The main feature of these hydraulic fittings is the ease of installation that does not provide special equipment if not a regular wrench and a tool suitable for cutting and enlarging the pipe. 06/11/2017 anaerobic sealant for the tightness of threaded brass fittings For the tightness of threaded brass fittings, we can use special sealants as well as classic methods like teflon and hemp.